Scarlett Johansson wows the fan in the black jumpsuit. The actress Scarlett Johansson ensured all eyes were on her on Wednesday night at the Avengers: Endgame fan event in London. For the event, she went for an elegant black tuxedo jumpsuit featuring with a plunging cut-out neckline. She accessorized the look with a pair of black heels and shimmering chandelier earrings. Scarlett also showed off her forearm tattoo, a circle with a sun and cloud over a calm sea, as well as the gold and silver statement bracelet. The 34-year-old actress rocked a vampy burgundy red lip, bold eyeliner, and lashings of mascara, which contrasted her flawless complexion. Slik hair completed her appealing look. Meanwhile, her co-star Chris Hemsworth opted for a tailored navy tartan suit the red carpet. He matched his suit with a printed button-down shirt and brown shoes. 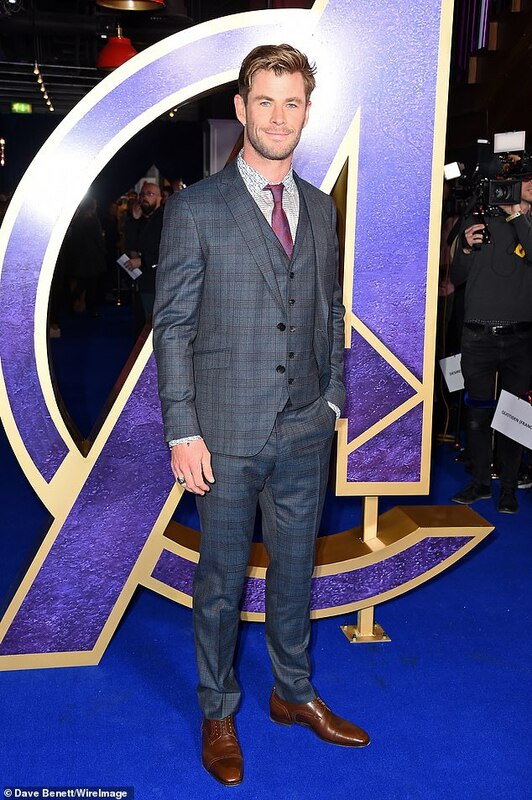 Chris Hemsworth at the Avengers: Endgame fan event in London. Coming back to Johansson, she walked the blue carpet and told that she hopes die-hard fans are satisfied with the film, as it brings a story spread over a decade of films to an epic conclusion.